Whether you're outfitting your first kitchen or upgrading your current cooking tools, nonstick cookware can be a fantastic choice. Nonstick cookware has tremendous advantages when it comes to convenience as well as nutrition, and there are plenty of choices available to fit into any foodie's budget. Let this guide give you more information on the benefits of these products as well as how to snag the very best nonstick cookware available for sale. One of the biggest advantages of using nonstick cookware, and the primary reason that individuals use nonstick pans when cooking at home, is because it makes it easier to reduce calories when dining. 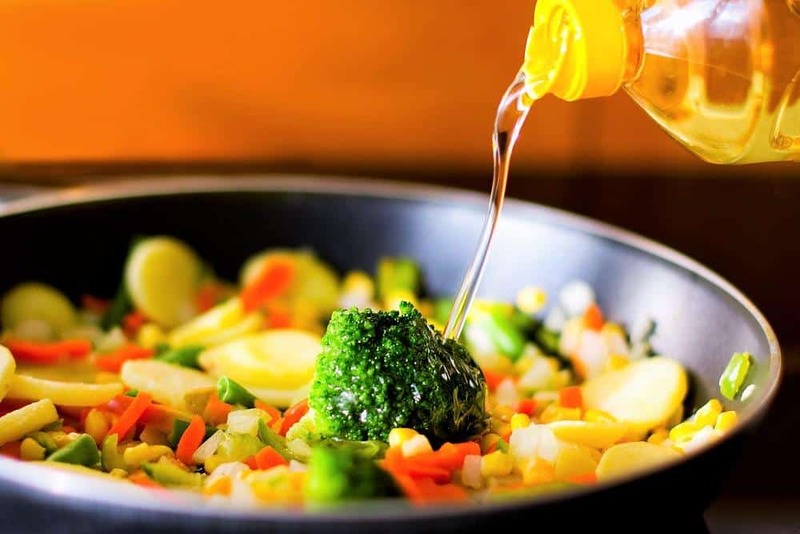 With some traditional cookware, you need to use a lot of fat, such as olive oil or butter, in order to prevent the ingredients from sticking when they are in the pan. While this may add to the flavor, it also makes it difficult to cook low-calorie foods without burning them. With nonstick cookware, you can do everything from pan sear vegetables to cook eggs over easy, and you can do it all without the need for a lot of fat. 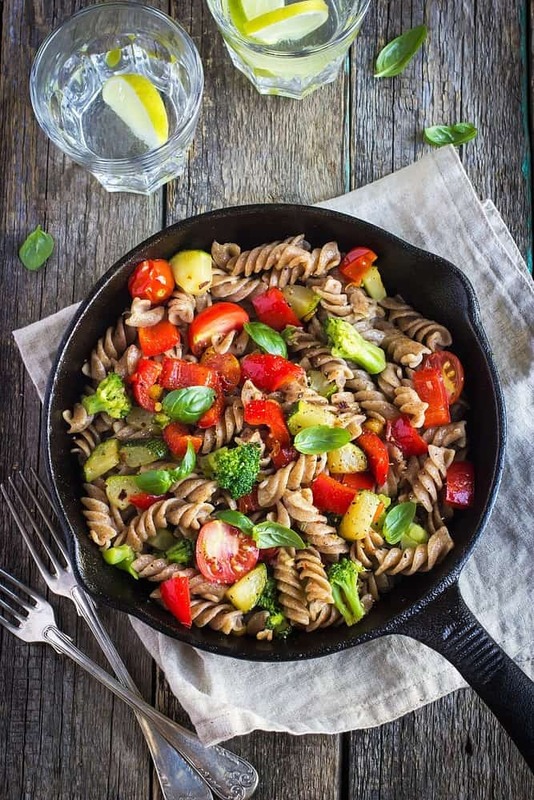 For anyone hoping to reduce calories for health reasons or lower fat to lose weight, nonstick cookware can certainly help. Another benefit of nonstick cookware is how easy it can be to clean. Since foods don't stick to the bottom of the pan when they are being cooked, cleaning can sometimes be as simple as wiping down the pan, rinsing it quickly and putting it away. 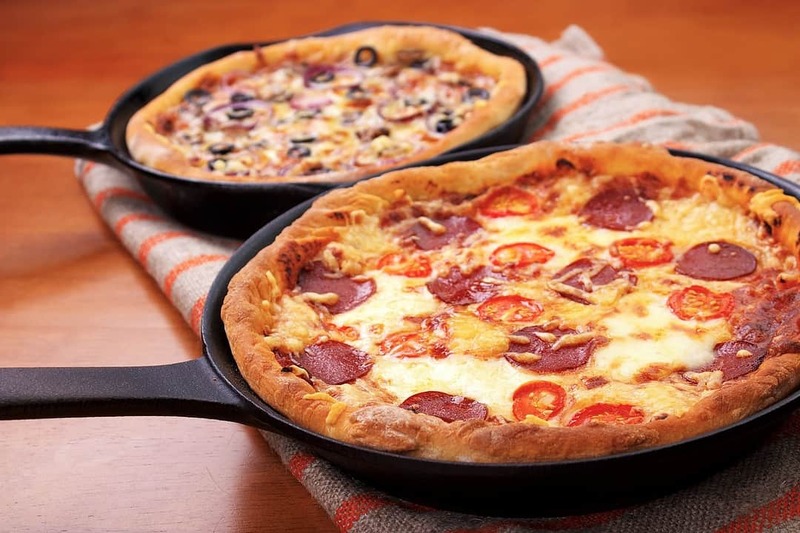 Compared to things like cast-iron pans﻿﻿, which require ongoing maintenance in order to prevent them from rusting and keep them properly seasoned, nonstick cookware is a breeze to care for. As you begin looking at different types of nonstick cookware in order to find the best choice for your kitchen, consider how important it is for you to clean up quickly. Some nonstick cookware can be placed in the dishwasher, making cleaning up after dinner easier than ever before. 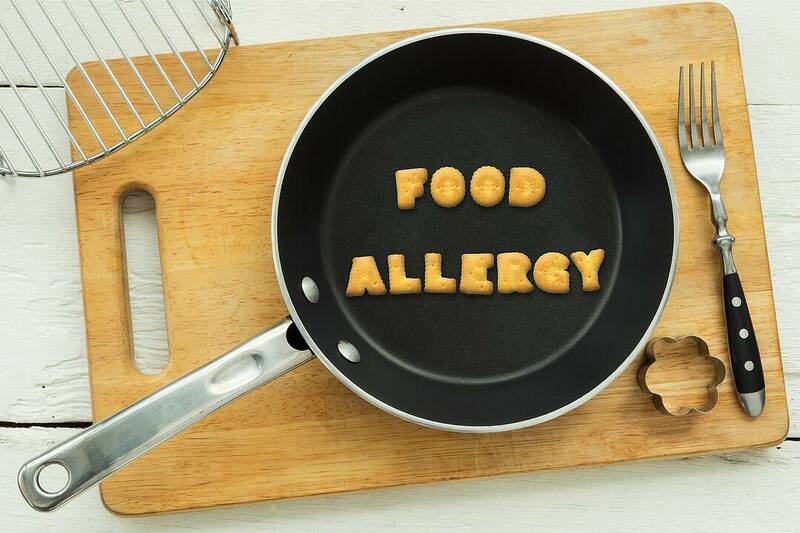 A major controversy surrounding nonstick cookware is whether it can be toxic to individuals who eat food cooked in it. This is because the chemical components that line the cookware and help make it a nonstick surface should not be consumed by humans. At extremely high temperatures, those chemicals can begin to break down, and they may find their way into the air or into particles that can make their way into the food. Thankfully, this is not a common occurrence, and it is not a problem that most home chefs need to be worried about. Most of these chemicals won't begin to break down until they reach 500 or even 600 degrees F, which is far higher than the surface typically gets for cookware used at home. In order for nonstick cookware to be effective, the surface needs to be completely flat. If sharp utensils are used on the surface of the nonstick cookware, they can do damage. Unfortunately, this can result in the nonstick properties being greatly reduced. That is why it is important to look for nonstick cookware that is durable and coated with a tough substance that won't be easily damaged. Although even the toughest diamond-coated surfaces won't withstand sharp knives cutting across them, they will stand up against everyday spatula use. Another concern to keep in mind when choosing nonstick cookware is how it can be used. For nonstick pots and pans, the upper surfaces are the primary concern, but the undersides are what make them compatible with the burners of various stovetops. 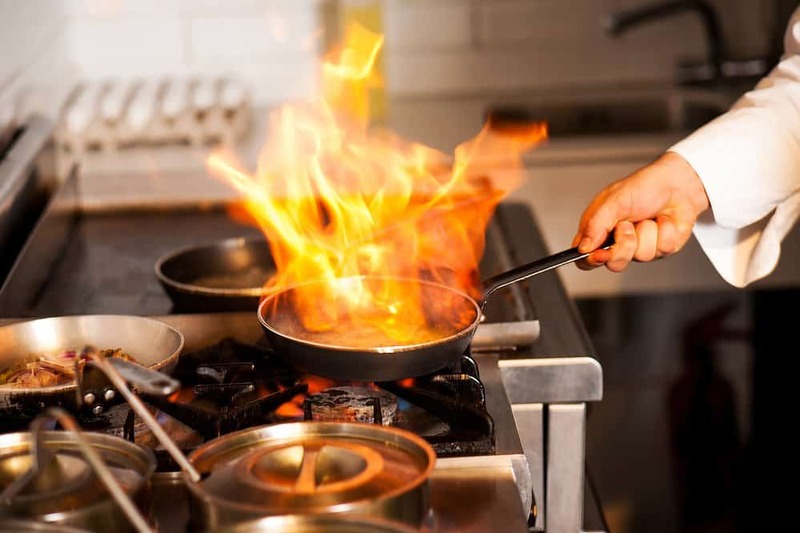 Some nonstick cookware is versatile enough to work on electric, ceramic, gas or induction cooktops, but it is important to check before buying any cookware that might not be compatible with your existing stove. One of the benefits of nonstick cookware is that it can often go from the stovetop to the oven without a problem. If you're a home chef, you'll appreciate this because it means you can do things like sear steaks and then finish them off in the oven until their interiors are perfectly cooked. However, not all nonstick cookware can withstand the oven. Also, some cookware claims to be oven-safe, but the handles will need to be removed, which is very inconvenient. If you're hoping to use pans between the stovetop and the oven on a regular basis, look for nonstick cookware that is ovenproof up to a specific temperature. 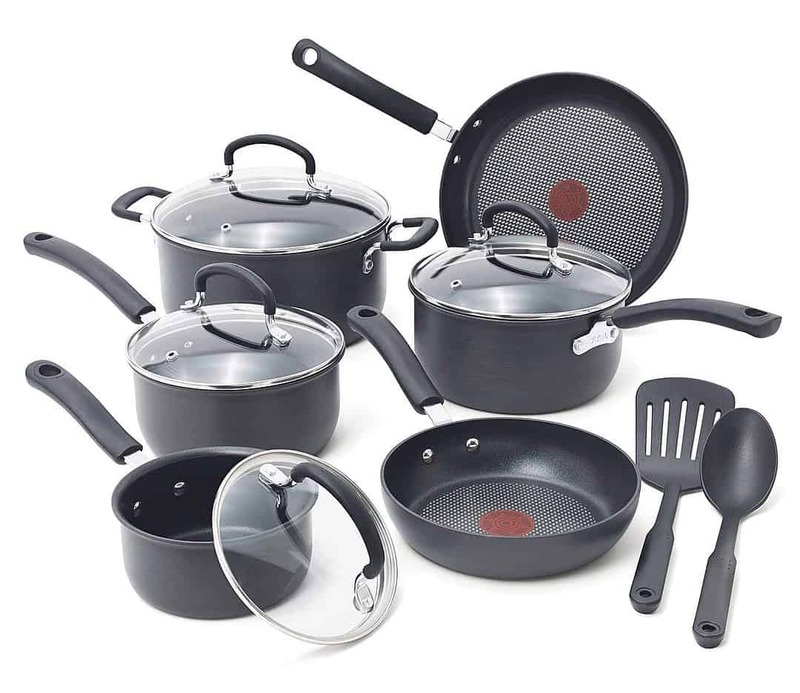 There is no shortage of nonstick cookware sets available for sale, but the 10-piece hard anodized black diamond set from KitchenAid sets itself apart. To start, I liked that the set gave me the items I needed most without unnecessary extras. 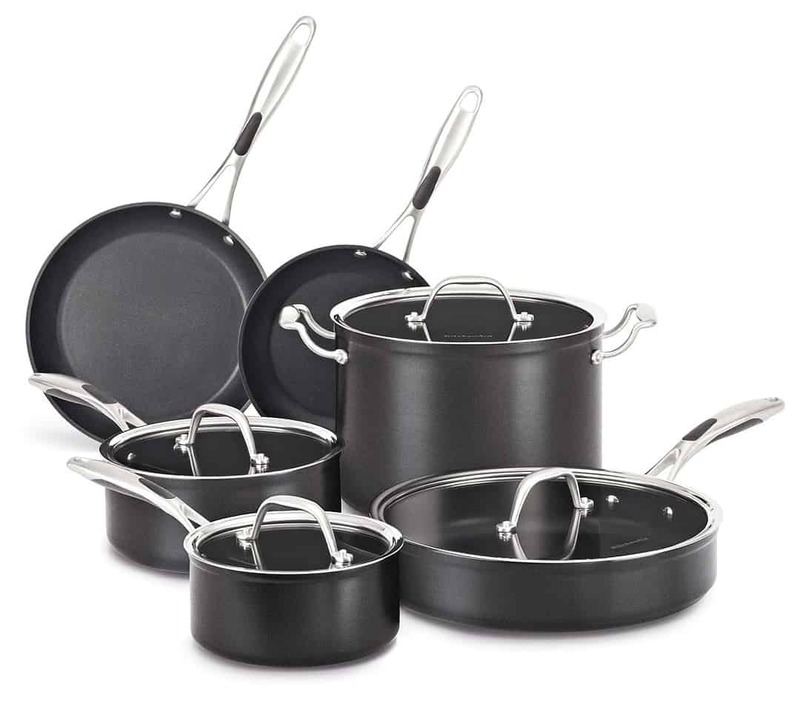 The set includes three pots with lids, one sauté pan with a lid and two shallow pans. The cookware boasts three interior layers, giving it plenty of nonstick power that's perfect for preparing a number of recipes. The sleek stainless steel handles are riveted and durable, but the removal and reinstallation was difficult. I recommend not removing the handles and keeping these items for stovetop use only. If you're at all concerned about the chemicals used in traditional nonstick cookware, then exploring options like the Stone Earth Pan from Ozeri may be a great choice. 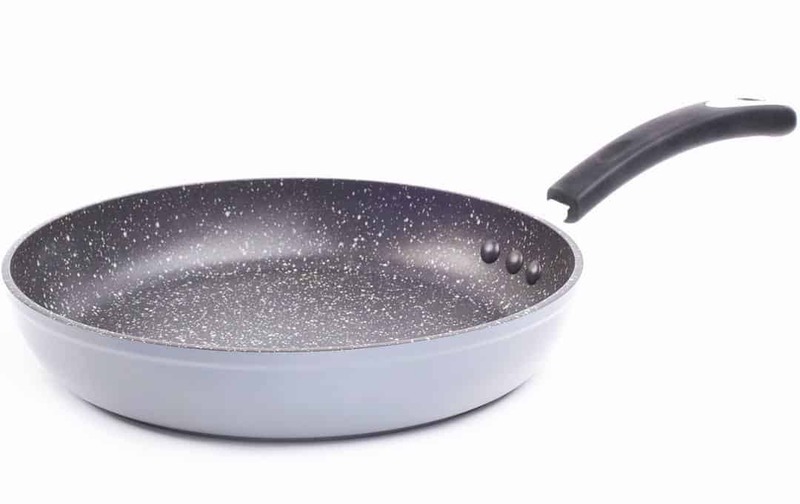 Like many pans, it is made from a heavy aluminum base, but the nonstick interior is constructed from a stone-derived material.This means that it's free from common chemicals like PFOA, or Perfluorooctanoic acid. You need not be concerned about this material unless you're heating your pan over 600 degrees F on a regular basis, but if you're worried, know that this piece is a fantastic option. I liked the speckled look of the interior, but it reminded me of rustic camping more than sleek decor. Keep in mind that this is a single item, not a set, but it is a quality piece if you're an occasional cook and you don't need to stock the whole kitchen with pans. 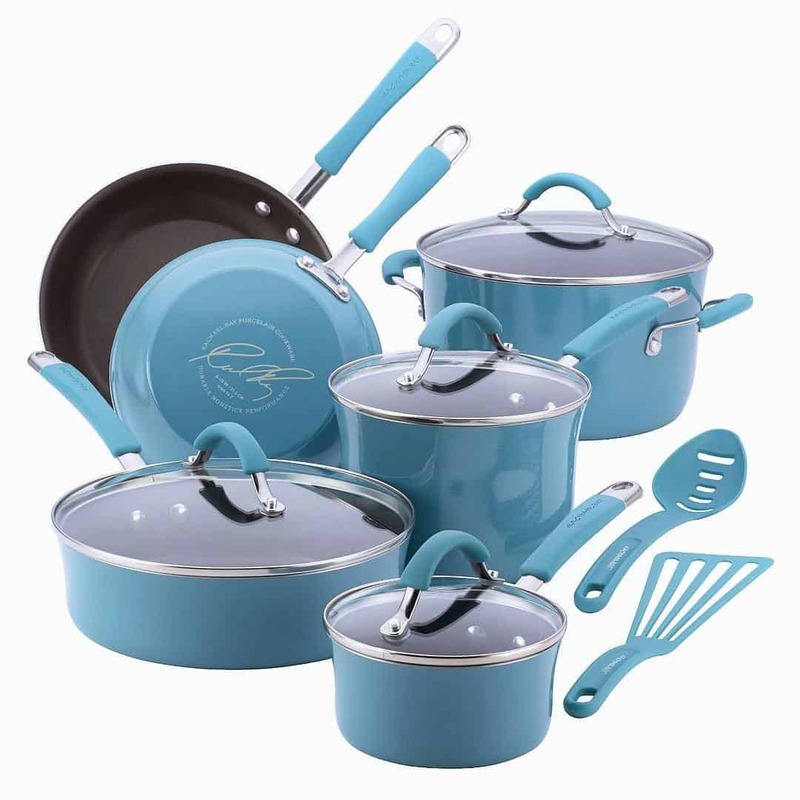 It was a delight to stumble upon the agave blue 12-piece Rachael Ray Cucina Hard Porcelain Enamel Nonstick Cookware Set. The blue is a trendy but retro shade, and the 12-piece set covers all the bases for things like stir-fries, eggs, entrees and pancakes. I liked that the stainless steel hands were rubberized in the same shade of agave blue, which was a comfortable touch. Unfortunately, this set is not compatible with induction ovens, and it can't be placed in the dishwasher. Although it is oven safe, it can only be used in ovens below 400 degrees, limiting its use in the kitchen. If you're looking for a nonstick cookware set that is very affordable, then the T-fal E765SC Thermo-Spot 12-piece set may be ideal. The gray color is sleek and attractive, and one of the first things I noticed was the red circle at the base of the pans. When the pans are placed on a hot surface, Thermo-spot technology brightens the red circle, indicating that the pan is preheated and ready to be used. I appreciated the rubberized handles on all the lids, pots and pans, but they were still able to get quite warm, necessitating oven mitts as I cooked dinner. Technically, this set of T-fal nonstick cookware is oven-safe, but only up to 350 degrees F. It is, however, safe for the dishwasher, which makes cleaning up after cooking a breeze. It's hard to believe that the Farberware High Performance Nonstick Aluminum 17-Piece Cookware Set is available for such a low price. The set contains just about everything I would need for typical home cooking, including a Dutch oven with lid, three pots with lids, one sauté pan with a lid, a skillet, a griddle, a cookie sheet and six kitchen tools. This is a convenient way to instantly stock a kitchen. While the quality is fine, I definitely noticed a few problems with the set, including how the handles felt flimsy and weren't attached well. While most of the items are supposed to be oven-safe, the maximum temperature of 350 degrees F is limiting. The cookie sheet, however, is the one exception and can be used in temperatures up to 450 degrees F.
Although all of the products listed above are high-quality pieces, the designation of best nonstick cookware goes to the KitchenAid Hard Anodized Nonstick 10-Piece Cookware Set﻿﻿. Each of the 10 pieces has a purpose, giving you the necessary equipment without a lot of extras that will go unused. 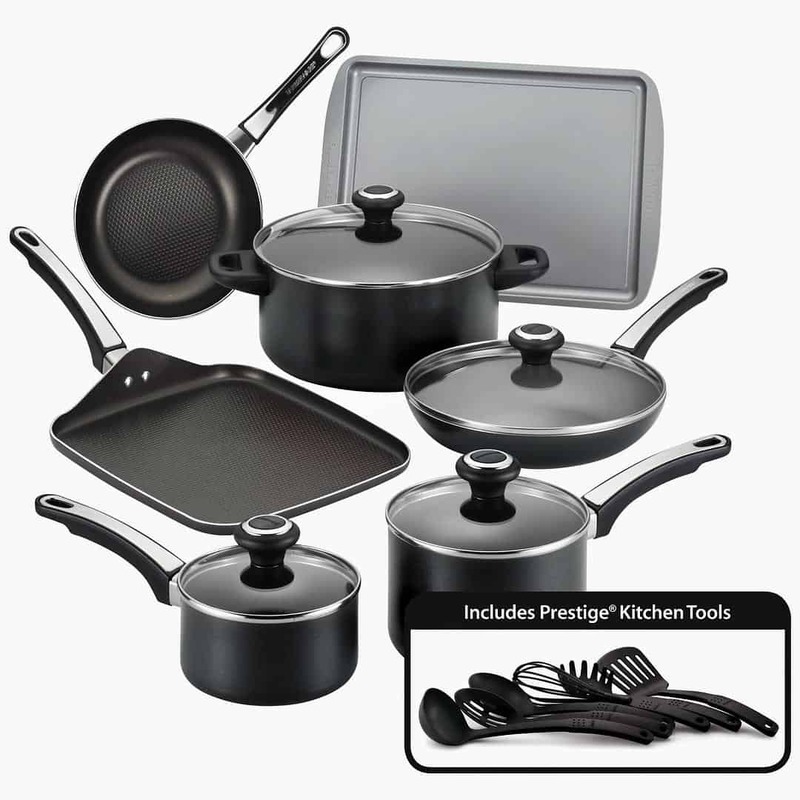 The cookware set is very durable, and the three-layer interior makes it nonstick for countless uses. The colorfast design also means you won't have to deal with fading over time. The pans are versatile and can go from stovetop to oven to dishwasher without a second thought. Comment below to add your thoughts about nonstick cookware and let everyone know how you picked the best pieces for your kitchen. If you have anything you'd like to add to this post, please leave your comments in the section below! Please share this article with anyone you know who is looking for a new portable stove.